Seniors can receive credit for senior research in neuroscience by completing the NEUR 99 petition and meeting with the neuroscience honors coordinator at the beginning of the fall semester of their senior year. Once the petition is approved, candidates must enroll in NEUR 99a and 99b (or one of these and NEUR 93) to carry out a senior research project and submit and defend a thesis. human memory and speech recognition. 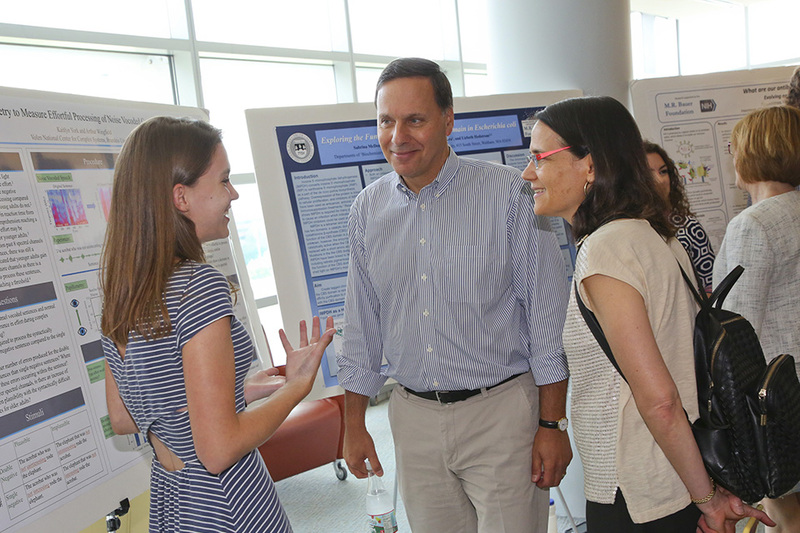 Students typically work in the corresponding lab long before their final year, and thus have the opportunity to create and present a scientific poster based on their research to the Brandeis community at SciFest in the summer between their junior and senior years. More detail on the Neuroscience Senior Honors program, including the petition, can be found in the University Bulletin. Applying to Senior Honors (NEUR 93, 99 and 199) is now online. Use your UNET ID and password to log into this FileMaker-based function. Information about the application process is also available: NEUR 93, NEUR 99/199. What is in a senior honors thesis? The Brandeis Institutional Repository (BIR) contains the Senior Honors Theses that have been submitted to the BIR over the years. Since this repository contains the senior honors theses from across the campus, use the "search within this collection" option to narrow your search.